The below is general information only. The information is not legal advice, and should not be treated as such and is subject to the legal disclaimer. This is a general article that explains the differences between hard and soft credit pulls or inquiries. The FCRA does not expressly create a distinction between “hard” and “soft” credit inquiries or pulls. Rather, consumer reporting agencies classify every user’s request to see a consumer report as either a “hard” or “soft” credit inquiry, depending on the type of inquiry made by the requesting party. 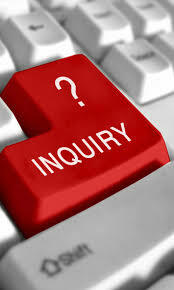 There are two kinds of inquiries that can occur on your credit report: hard inquiries and soft inquiries. While both types of credit inquiries enable a third party, such as you or a lender, to view your credit report, only a hard inquiry can negatively affect your credit score. Hard inquiries occur when a financial institution, such as a lender or credit card issuer, checks your credit report when making a lending decision. For example, hard inquiries commonly take place when a consumer applies for a loan, credit card, or mortgage. You typically have to authorize a hard inquiry. Most important to note, hard inquiries will lower your credit score by a few points and remain on your credit report for two years. As time passes, the damage to your credit score will decrease until the hard inquiry falls off your credit report. Soft inquiries occur when a person or company checks your credit report as a background check, such as when a potential employer checks your credit, when you are “pre-approved” for credit card offers, and when you check your own credit score. A soft inquiry can occur without your permission. Soft inquiries may be recorded in your credit report, depending on the credit bureau, but they won’t affect your credit score in any way. https://www.creditkarma.com/article/hard_inquiries_and_soft_inquiries (visited July 26, 2013) (emphasis added). Credit inquiries are requests by a “legitimate business” to check your credit. As far as your FICO® score is concerned, credit inquiries are classified as either “hard inquiries” or “soft inquiries”–only hard inquiries have an affect on your FICO score. Soft inquiries are all credit inquiries where your credit is NOT being reviewed by a prospective lender. These include inquiries where you’re checking your own credit (such as checking your score in myFICO), credit checks made by businesses to offer you goods or services (such as promotional offers by credit card companies), or inquiries made by businesses with whom you already have a credit account. www.myfico.com/crediteducation/questions/inquiry-credit-score.aspx (visited July 26, 2013) (emphasis added). In sum, hard pulls or inquiries lower your credit score by a few points but soft pulls do not. If you have inquiries or other items on your credit report that should not be there, please give me a call or shoot me an email for a free consultation. “myFICO is the consumer division of FICO. Since its introduction 20 years ago, the FICO® Score has become a global standard for measuring credit risk in the banking, mortgage, credit card, auto and retail industries. 90 of the top 100 largest U.S. financial institutions use the FICO Score to make consumer credit decisions.” http://www.myfico.com/Guest_Home.aspx (visited July 27, 2013) (emphasis added). I purchased a car from carmax and they lenders each ran hard inquiries on 3 separate days. I also had a Realtor run a hard inquiry for a rental and was told it would not effect my credit it would be soft. BTW did not get the rental my score in April was 657 and now 497 on experian. What can I do to correct or get these inquiries deleted?